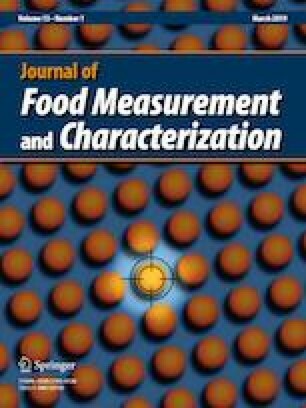 This study aimed to investigate the feasibility of using the computer vision system (CVS) for monitoring color and surface oil content of durian chips during post-frying cooling. The results revealed the browning index values increased with cooling time, while surface oil content decreased. A high linear correlation of browning index as well as surface oil content and cooling time was observed (R2 > 0.92). The image-processing technique can effectively be used to describe browning index and surface oil content of fried durian chips as it yielded a very high correlation (R2 > 0.94). This technology exhibits great potential as a reliable, rapid, consistent, and non-destructive tool for process optimization and quality control of fried products. The authors gratefully acknowledge the Department of Food Technology, Silpakorn University, and the International Institute of Tropical Agriculture for giving the opportunity to prepare this article. This study does not involve any human or animal testing.